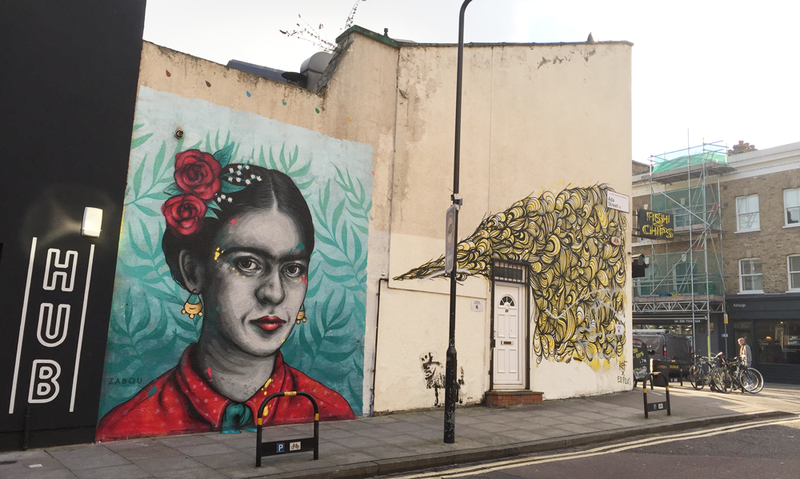 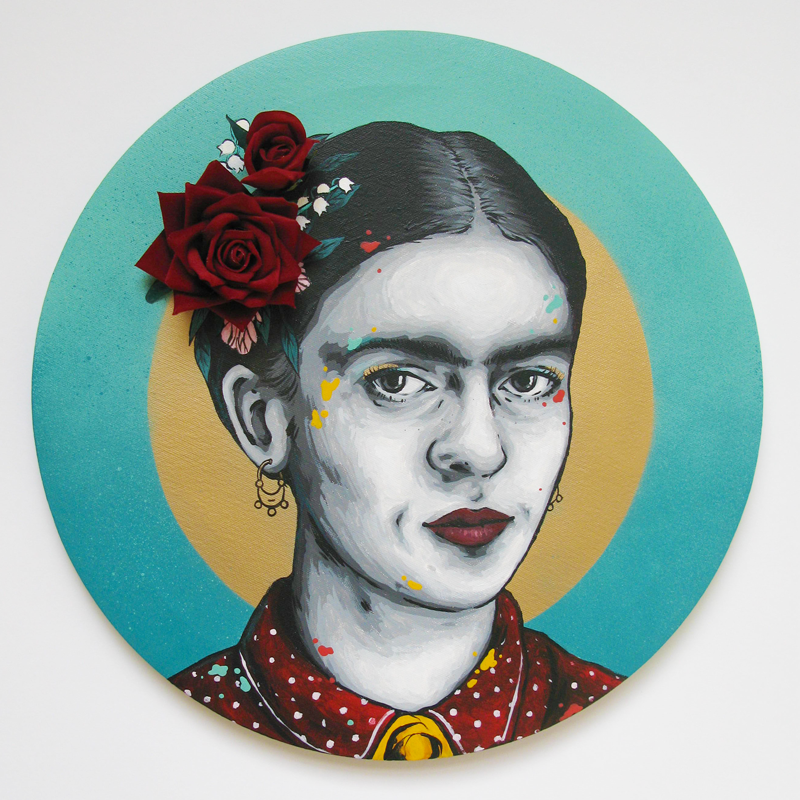 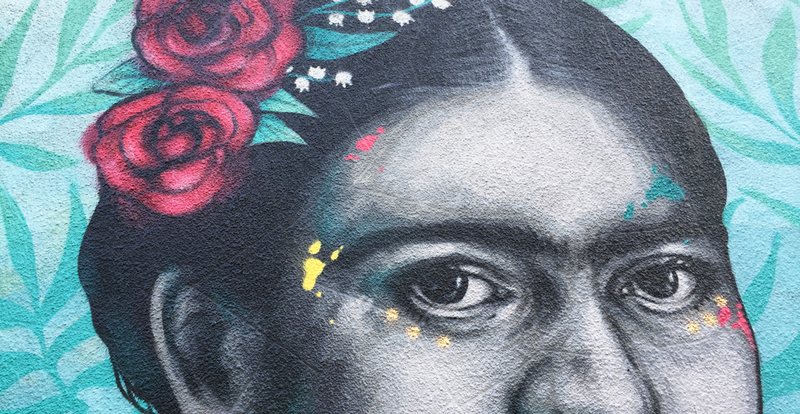 The portrait of Frida Kahlo in Broadway Market got a makeover due to previous damages. 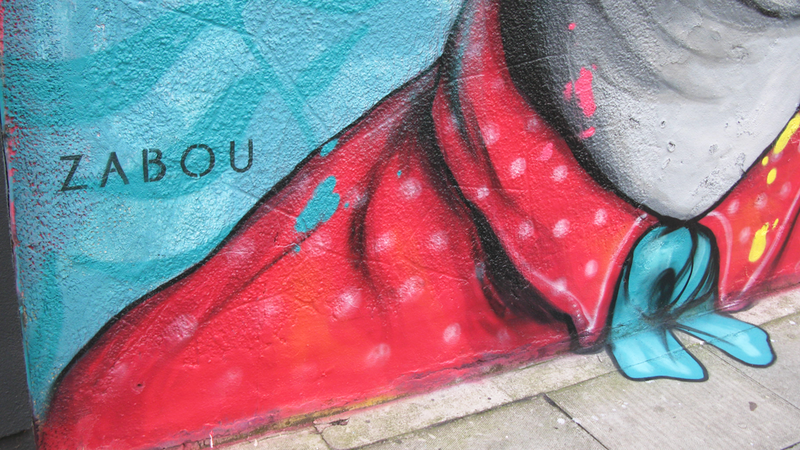 I’m much happier with this new version, it’s better looking and more colourful. 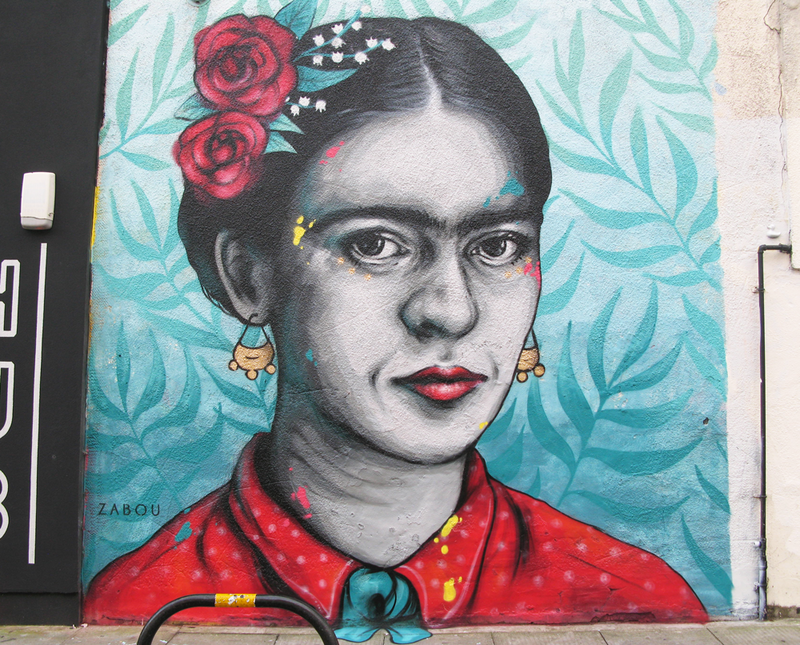 I love the determination in her eyes – don’t mess with Frida! 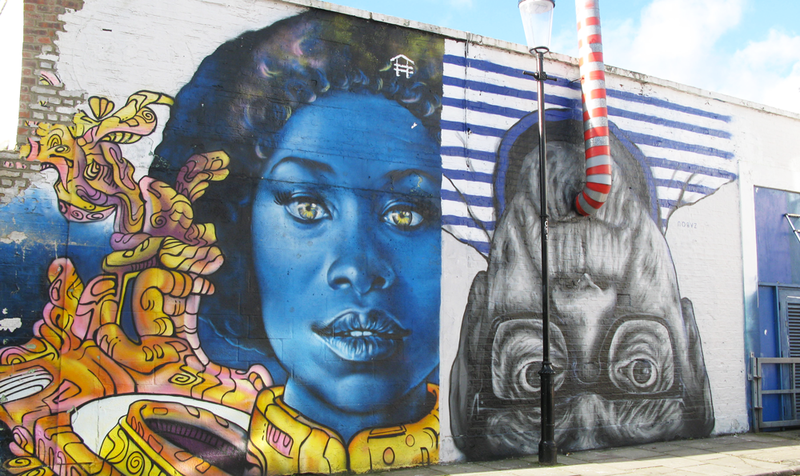 I was invited by Frankie Roche to paint in West London, on a site that hosts artists’ studios. 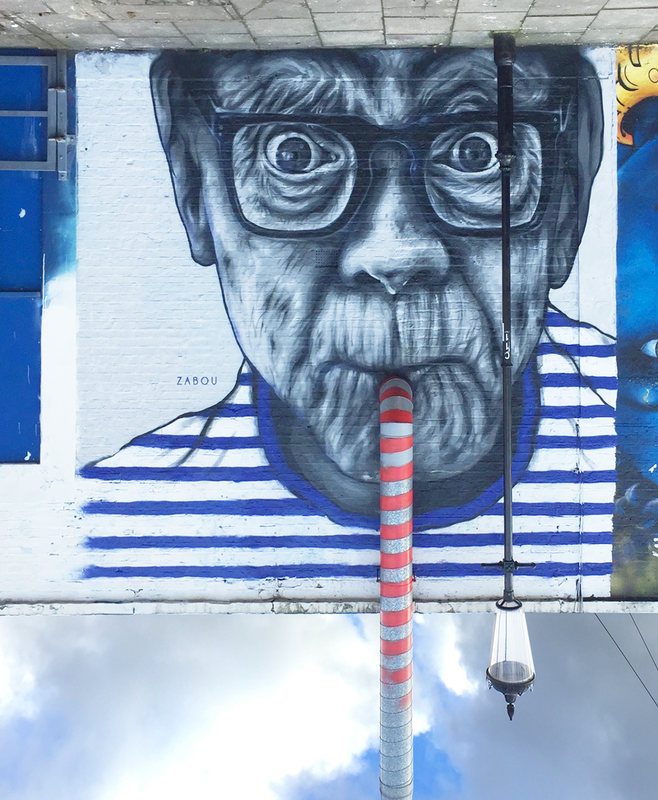 I created my first upside down piece of its kind, a portrait of an old man sipping on a straw (based on a photo by Willowpix). 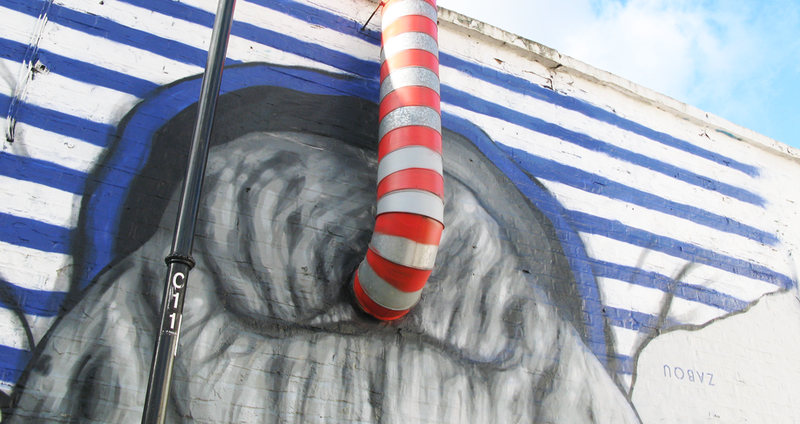 The straw is drawn on a metal pipe, ending in the sky. 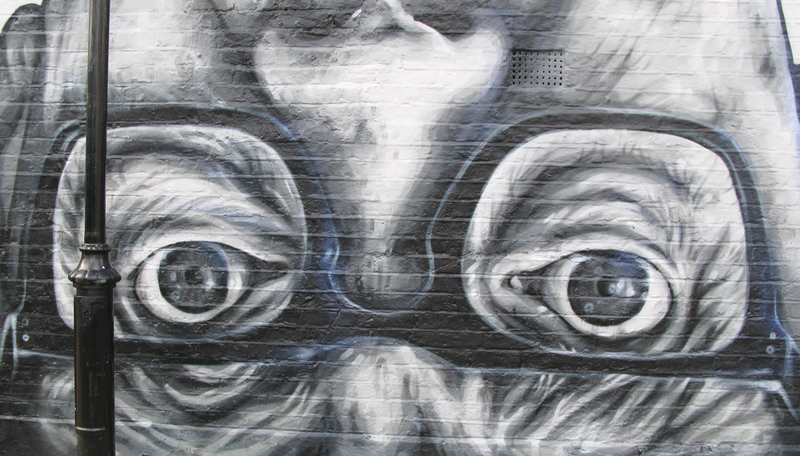 The mural is playful and interactive, triggering the audience’s surprise and imagination. 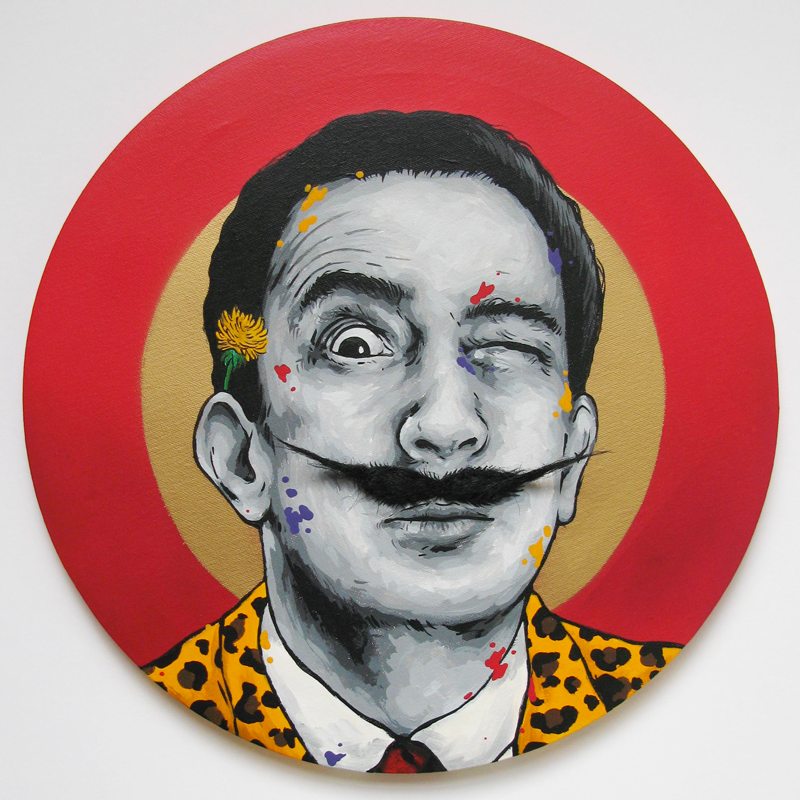 Saatchi Gallery is currently exhibiting a body of works from various artists throughout January and February. 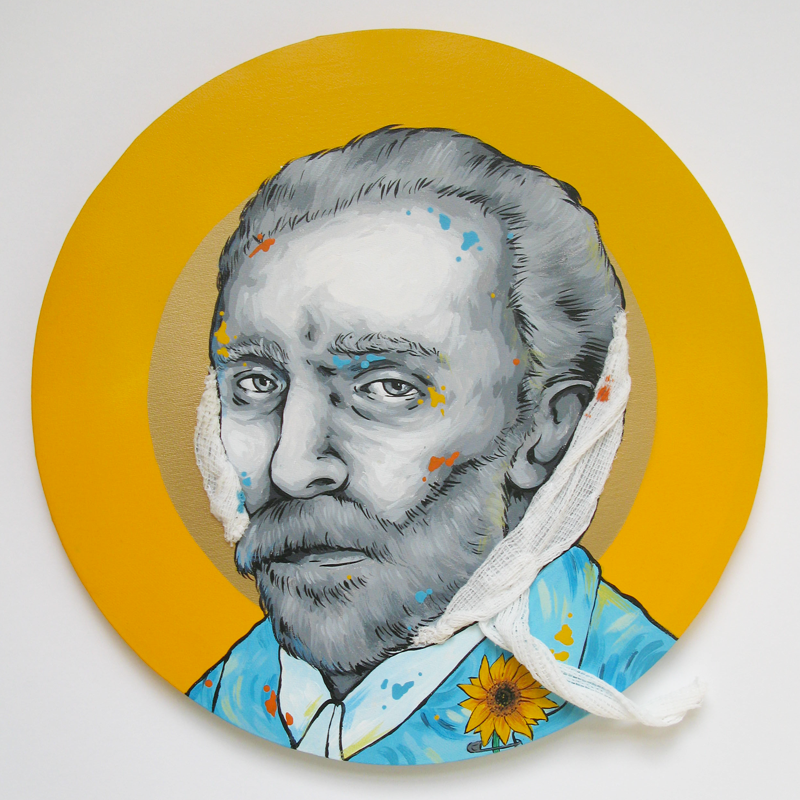 I’ve created ‘The Masters Series I’, a series of paintings showcasing some of the most iconic painters such as Dali, Kahlo, Basquiat and Van Gogh. 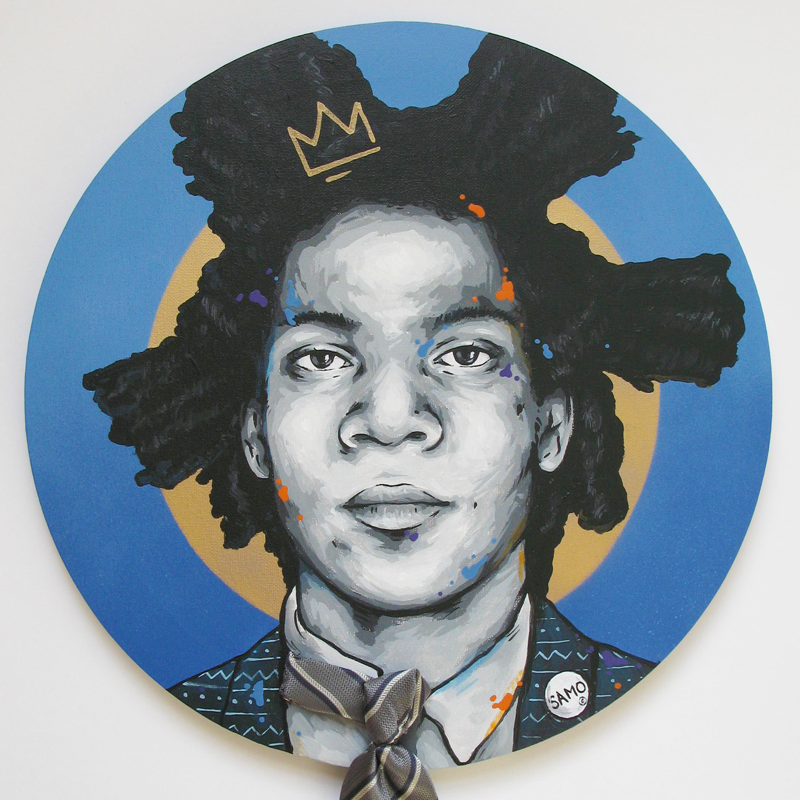 Each artwork integrates an object, creating volume and playfulness.